Look at them shine, these headphones are just right on point with what I have been looking for. Lately, I have been on the hunt for some new headphones as I cannot edit videos and try and tune out TV noise using my iPhone headphones whilst blogging and editing videos in my house. 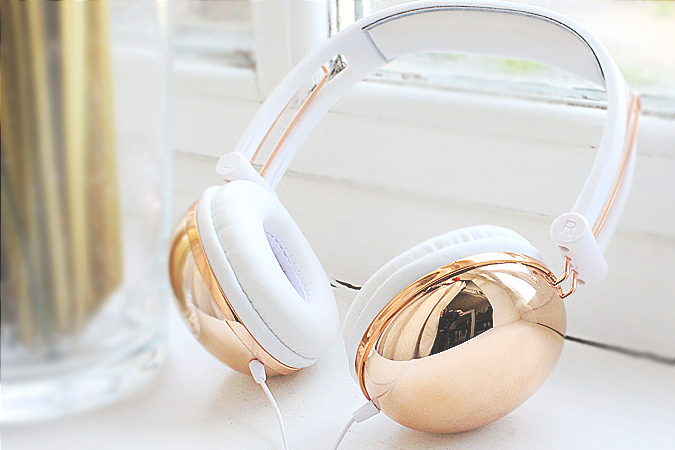 I remember seeing these little gems on New Look Online and they were titled "Gold Plated Headphones £14.99" , I was looking for a rose gold pair and a number of times nearly pressed the checkout button but always closed the tab instead as it wasn't exactly what I wanted since they were titled "gold". On a little trip in London and walking into a New Look store on Oxford Street and to my surprise I spotted these beauties at the checkout aisle and could not believe my eyes! They looked more Rose Gold than Gold and without thinking Picked a pair up and went over to purchase them. These gems where on point a good buy; Very sturdy, adjustable and soundproof with a good level of volume. I'm not one to blast my headphone like my teenage self in the past as I do not ever want to end up deaf - something I would gladly hover over my teenage self and say or shout! 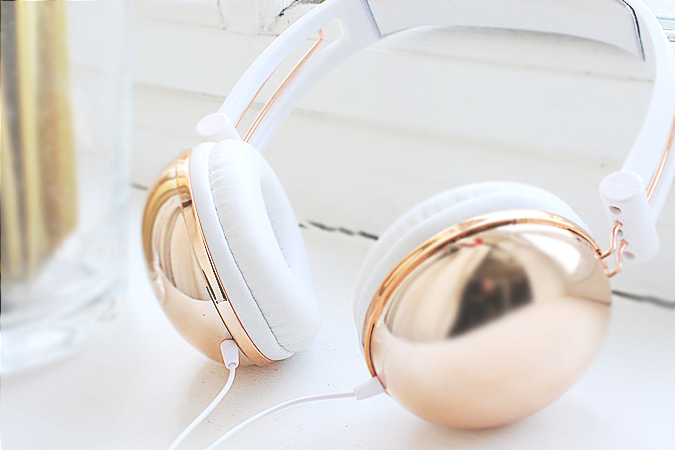 If you are on the hunt for some Rose Gold/Gold Headphones with that touch of milky white, I advise you to head over to the website or visit a store near you and pick up a pair as they are on SALE for half the price! Do you like a funky pair of Headphones?